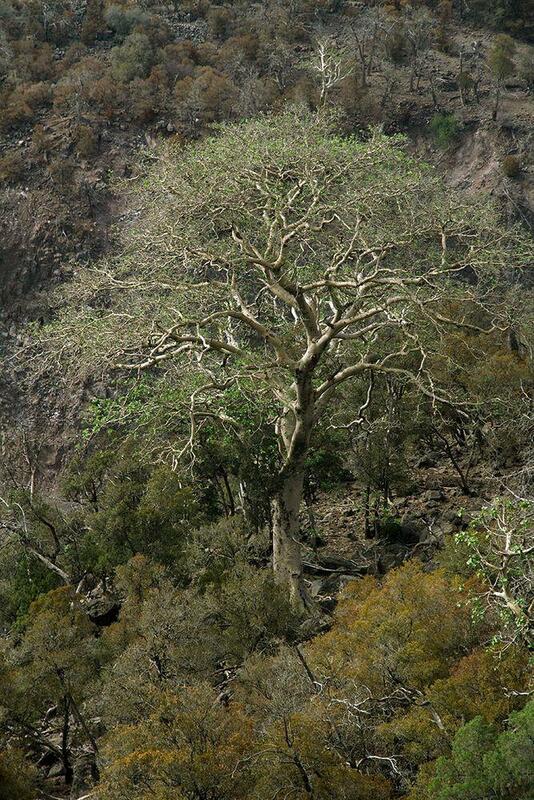 The largest forest in Djibouti is Day Forest in Goda Massif. This isolated forest is surrounded by endless semi-deserts and deserts of Afar region and there is only one more, smaller forest in Mabla Mountains to the east. Forest has formed on the steep slopes and ravines of Goda Massif. The tallest summit of these mountains – Eger’aleyta – rises 1,783 m above the sea level. Ecologically this dry forest is a part of larger ecoregion – Ethiopian Montane Woodland, exotic relict of earlier ages, when climate was milder and colder than now. The most pristine area of this forest, the "real" Day Forest is formed by stands of East African junipers (Junipera proceris) and grows in areas above 950 m above the sea level. 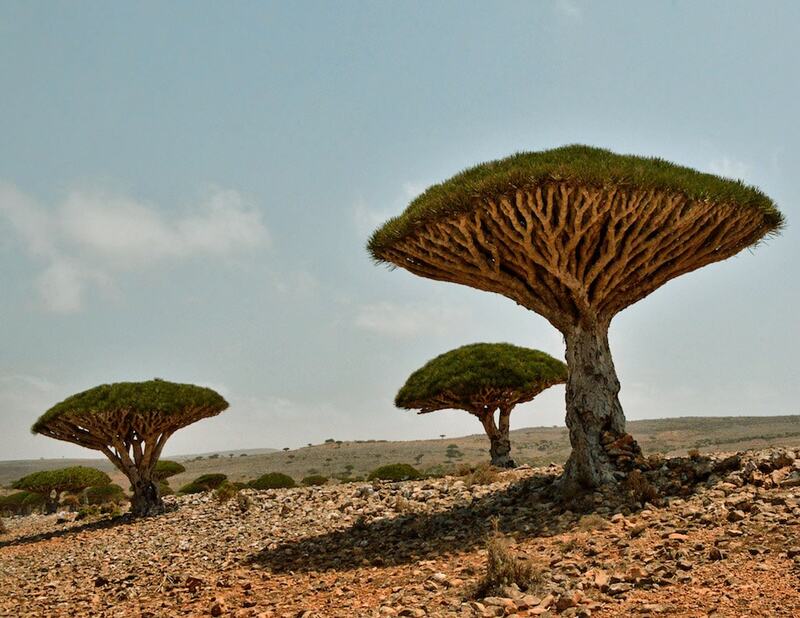 These trees grow here up to 20 m tall. Further below other trees and shrubs appear, such as African subspecies of olive (Olea europaeasubsp. cuspidata), the rare Bankoualé palm Livistona carinensis, Camphor Bush (Tarchonanthus camphoratus) – a bush rich in aromatic oils, the exotic Gabal Elba Dragon tree Dracaena ombet. The shrub Buxus hildebrantii seems to be better adjusted to climate changes and currently is encroaching and replacing other species. Most forested are eastern slopes of mountains – the fog from the nearby sea is more frequent here. Day Forest is poorly researched, but most likely it has many unique species. The best known is Djibouti francolin (Francolinus ochropectus), which lives only here and in nearby Mabla Mountains. This bird depends on juniper forest and is becoming increasingly rare. Most likely just some 300 – 700 birds remain (2, 2009). Larger animals – leopards and warthogs – have disappeared, increasingly rare are antelopes. Endemic racer snake Platyceps afarensis has been discovered recently. Formally Day Forest is the oldest national park in Djibouti. It was established in 1939 – much earlier than most national parks in the world. Unfortunately in later decades it was "forgotten", there were no protection measures implemented. Later, in the early 1990s took place civil unrest. Only lately diverse protection activities have been started and government intends to reestablish national park here. In spite of its status, this forest is endangered and in fact – disappearing. Over the last two centuries there have been lost 88% of the area of Day Forest, more than 20% have been lost over the last 20 years. One of the main reasons for this demise is climate change. Climate in this region is becoming increasingly hot and dry – not suitable for forest. Another reason of danger is (as usual around the world) human activities. Local people – sedentary Afars in nine villages around the mountains – try their best to protect this forest, but in order to survive they need the forest and its resources. The disastrous effect of grazing lately is being averted – there are built stone enclosures to prevent the spread of cattle in forest. Felling of live trees is traditionally forbidden and locals collect dry wood for cooking. They try also to protect francolins which are seen as important part of forest, and also – important source of food. Nevertheless, step by step the forest recedes in front of humans. Another reason for this is the tradition of local high ranked officials to build their residences in this forest. BirdLife International. Forêt de Day. Accessed in 23rd June 2013. Zomo S. Y. Fisher, Samantha Cartwright, Clive Bealey, Houssein A. Rayaleh, Philip McGowan and E. J. Milner-Gulland. 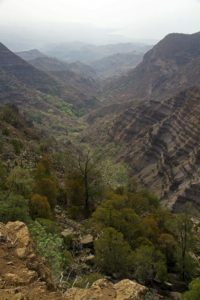 The Djibouti francolin and juniper forest in Djibouti: the need for both ecosystem and species-specific conservation. Oryx, October 2009. 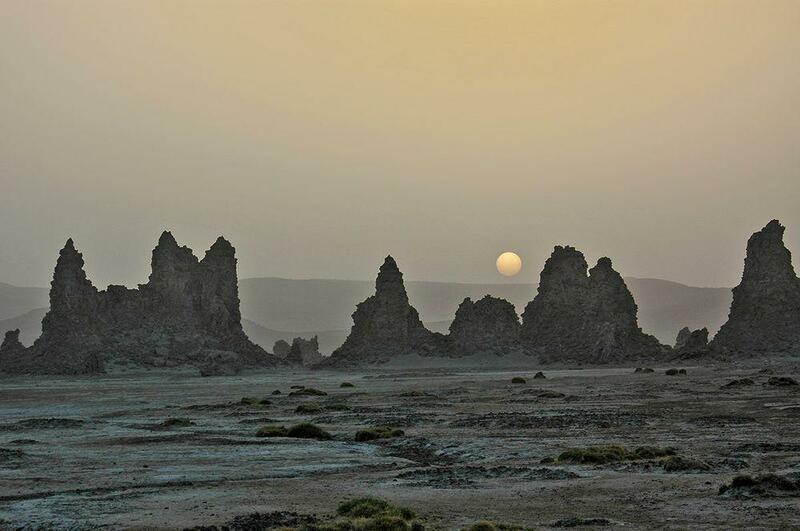 Although Djibouti is not rich with natural or man made heritage, there are some truly surprising landmarks, especially – the eerie landscape of limestone chimneys at Lake Abbe. The Sahara is the quintessence of isolation, epitomizing both remoteness and severity of environment unlike any other place on the face of the earth. Replete with myths and fictions, it is a wild land, dotted with oases and camel trains trudging through sand dunes that roll like the waves on a sea, as far as the distant horizon. But this is just part of the picture.